Dr. Bridget Holyfield-Moss, an Assistant Professor of Psychology, received her Doctor of Education Degree in Counselor Education and Supervision from Argosy University Sarasota Florida Campus. An alumnus of Fort Valley State University and a winner of 2016 B-P- R-B Outstanding Alumnus Award, Dr. Moss received her Master of Science Degree in Mental Health Counseling and Bachelor Degree in Social Work (BSW). She recently co-authored a book entitled Intrafamilial Childhood Sexual Abuse: A Phenomenological Study of Counselors’ Experiences. She has also co-authored journal articles on: (1) Racial Micro-Aggression Related to Voter ID Laws in the United States; and, (2) Anti-Transgender Bathroom Law Controversy: Protection or Discrimination, which are slated to be published shortly. 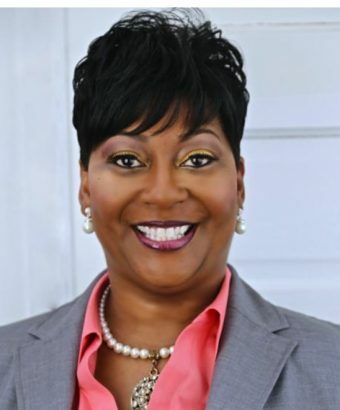 A Licensed Professional Counselor and CEO of Bridgestone Consulting Services, LLC., Dr. Moss has over 20 years of professional experience in working with children, adolescents and their families diagnosed with severe emotional and behavior disorders. Her research interests include but not limited to: Childhood Sexual Trauma; Complicated Grief and Loss; African American Fatherless Daughters and Adult Intimacy; Social Justice; Cultural Diversity; and, Race, Gender and Class Relations. Assumed responsibility for the oversight and day- to- day operation of outpatient Mental Health Clinics: (Reynolds, Macon, and Columbus, GA). Some specific responsibilities include marketing,provision of services, quality assurance, training and supervision of all administrative, paraprofessional, clinical, and nursing staff. Participated in discharge planning meetings for clients to ensure proper discharge planning. Also responsible for the completion of discharge summary.